Emily, Navin, and their crew of resistance fighters charter an airship and set off in search of Cielis, a mythical city believed to be located on an island high above the clouds. The mysterious Leon Redbeard is their guide, and there's a surprising new addition to the crew: the E... read full description below. 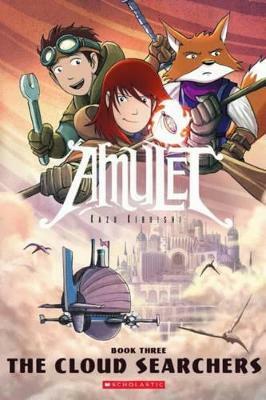 In the third installment of the thrilling Amulet series, Emily, Navin, and their crew of resistance fighters charter an airship and set off in search of Cielis, a mythical city believed to be located on an island high above the clouds. The mysterious Leon Redbeard is their guide, and there's a surprising new addition to the crew: the Elf King's son, Trellis. But is he ally or enemy? And will Emily ever be able to trust the voice of the Amulet?